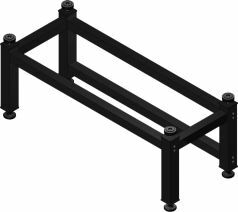 Optical Table Supports 1TS are primarily designed for the Honeycomb Table Tops 1HT. 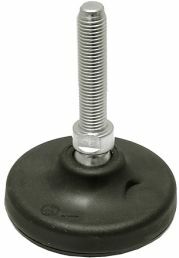 Table Supports are produced from steel tubes of 100 mm square section, in decorative black coating. 1TS is composed of two “Π” type supports, bound by a crossbeam. Optical Table Supports 1TS ideally suit other types of optical plates and other equipment, as well. 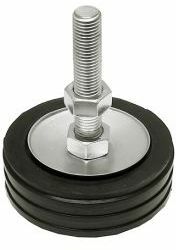 This is possible because plates are not fastened – they are just laid on top of the supports. On request we produce table supports of any size, design and of greater sturdiness. Deflection "f" is minimal when the distance between supports = 0.554LRounding to greater standard value is recommended. If required, e.g. 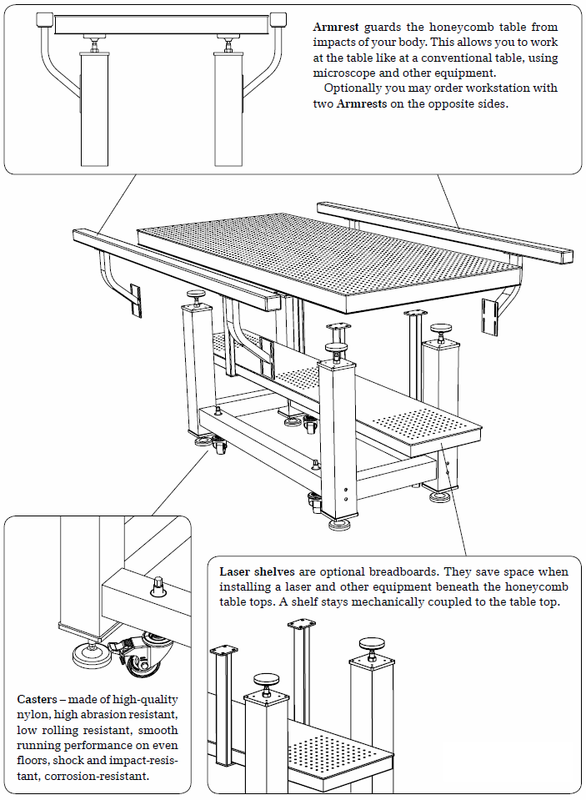 when used with a laser shelf 1LS52, the table support may be assembled upside-down. This doesn’t degrade its performance. 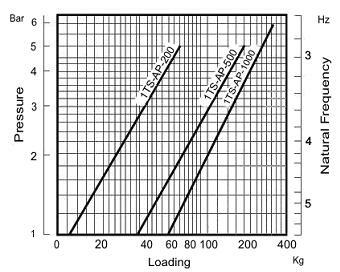 There are different models of 1TS-AP with different load capacities. Natural Frequency 3-5 Hz. 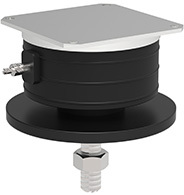 The Passive air leveling vibration isolator 1TS-AP is a low height, low stiffness air spring isolator mount suitable for both passive and dynamic applications where a support natural frequency as low as 3-5Hz is required. The 1TS-AP Isolator elastomer body made of CR grade with high elasticity oil resistant and non-aging. Pressure and bottom plates made of galvanized steel. Inflation is either through the 'moulded in' standard tyre valve or by connection to a permanent air supply. Type of upper leveling elements of 1TS can be chosen from 1TS-AS, 1TS-AR or 1TS-AP (see descriptions below). 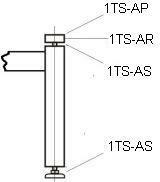 Bottom elements on 1TS are of type 1TS-AS. 1TS05-07-05-AR – table support sized 500×700×500 mm (Width×Length×Height) with 4 pieces of 1TS-AR leveling elements on top and 4 pieces of 1TS-AS leveling element at the bottom. 1TS05-12-06-AS – size 500×1200×600 mm (W×L×H), type of leveling elements – 1TS-AS (8 pieces, 4 on top and 4 at the bottom). 1TS065-18-06-AP-200 – size 650×1800×600 mm (W×L×H), with 4 pieces of leveling elements type 1TS-AP-200 on top and 4 pieces of leveling elements type 1TS-AS at the bottom. 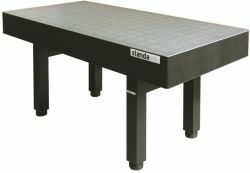 For heavy tabletops longer than 3500 mm we provide reinforced table support structure by default. Extra cross-bars are added to three sides of the table support frame for increased stability and reliability. Standard length - 2200 mm between support leg centers.